Just like in reality – ships passing doesn’t occur very often but when they do they sound their horn and then sail off into the day/night. The same can be said for many of us who take part on these cruises. We meet for a brief time, we make a lot of noise together – fun of course, and yes more often than not, make beautiful friendships, but then part – and in some cases sadly, we may never see each other again (thank goodness for facebook). However I’m trying very hard to rectify that last bit. If the only way you and I can catch up with friends we have made from all of Australia is onboard a cruise – then clearly we need to have more cruises. With cruising Downunder becoming more and more popular, this little business is slowly growing, and our once a year cruise has increased this season to 7 and 10 being offered already for the next. This does’t even include the 14 new ones I have recently requested for the 2020/2021 season – more on those later as still waiting on confirmation. All of this means you now have the opportunity to cross paths again and catch up with those special friends you have made on previous journeys – its simple – you just have to organise another cruise together. Click on either of the two images below to take you to the website for further information and booking enquiry form. Click HERE for our FAQ’s about our cruises..
Join Glenda Viljoen (owner and designer) of the gorgeous Penelope Dee brand and myself on this awesome cruise to New Zealand – onboard the biggest ship we have here OVATION OF THE SEAS. Be spoilt with classes using the awesome Penelope Dee Papers including an EXCLUSIVE made just for participants. You don’t want to miss out on a place here. On this cruise we will be visiting all of my very favourite island but beingspoilt with product and classes as the gorgeous Anguree Jansen Van Resburg will be joining us. She is a design team member at 49 & Market and 13 Arts so you can imagine what her pages will be like. If you are still wondering then you need to click on the image and head over to the website and follow the links to see her work. Dont miss this awesome opportunity to learn from some of the best in the industry.. I have had many ladies ask me for my instructions for the classes i have taught onboard this past season’s. Instructions priced between $5 – $7 each. Margaret Olive will again be joining us as one of the Instructors on the January 2020 quilting cruise. With her bubbly personality you will be sure to not only learn new techniques but have a wonderful time. Click on image to take you to website for more info on our next quilting cruise or click HERE to see some of the classroom antics. “I have just embarked on what I can say was one of the most incredible holidays of my life. 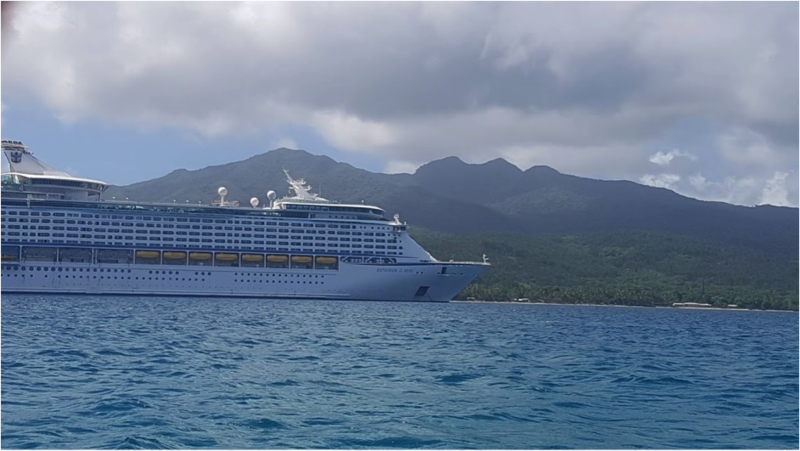 8 of us from New Zealand, excitedly boarded a plane on the 28th of February 2019 from Christchurch to Sydney for our scrapbooking cruise adventure aboard the Explorer of the Seas. 9 whole nights and 10 days of scrapbooking and cruise fun from the 1st March, it doesn’t get better than this! From the scrapbooking, to the cruise, the different islands visited – everything was perfect! Arriving into the conference room on the first night for a quick debriefing before our first class the following morning, our spots were already laden with gorgeous welcome packs …. we received so many gorgeous goodies. We were also told the conference room was available to us exclusively for the entire duration of the cruise. We could leave our scrapbooking tools and projects in the conference room, and could work on projects whenever we wished to do so. Day 2 and Day 3, and Day 8 and 9 were sea days and we had classes in the morning of each of those days. We had amazing classes taught by Melissa Kennedy and Jennifer Hedger of Dusty Attic. The layout packs we received were full of amazing papers and gorgeous goodies – some made exclusively just for our classes. We were thoroughly spoilt! We even received little surprise gifts on days we were not at sea! We swapped ATC cards with other class attendees, what a fantastic idea. We were an amazing group of ladies – the ambience in that conference room was one of scrappy happiness, and new friendships being formed. Day 4 saw us dock off at Noumea, with a ferry trip across to L’escapade Island arranged by Melissa for the scrapbooking group. We snorkelled, seeing abundant coral, beautiful sea life – and some of the group were lucky enough to even swim with turtles. Lunch was a spread fit for a king – eat as much as we could! Day 5 was at Lifou, day 6 was at Mystery Island, Day 7 was Isle of Pines. Each and every day was better than the day before – filled with island adventures, and snorkelling – and on day 7 at Isle of Pines we saw our turtle! What an experience! If I was given this opportunity to do this all over again, I would do it at a drop of a hat! The word “unmistakable” is defined as distinctive – this scrapbooking cruise was exactly that! 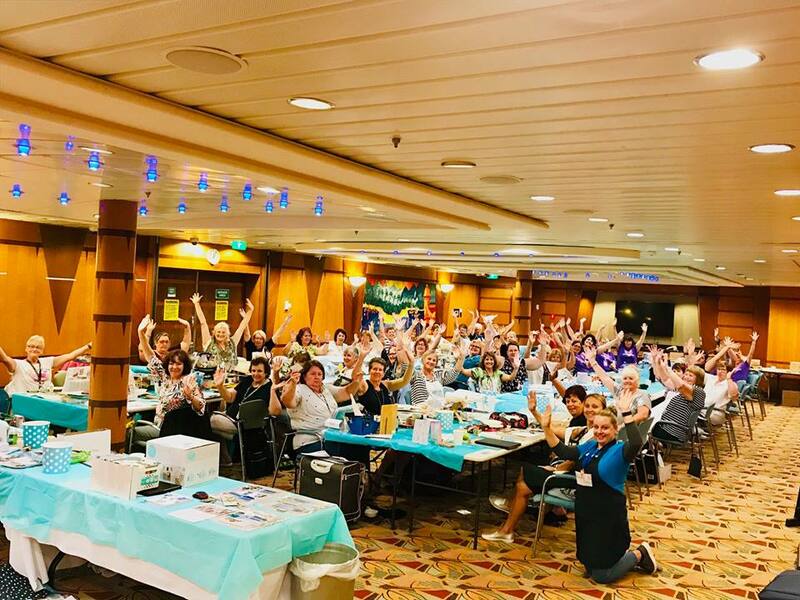 From the scrapbooking classes, and playing with amazing products from Kaisercraft and Dusty Attic, to the overall cruise experience – it was unbelievable. 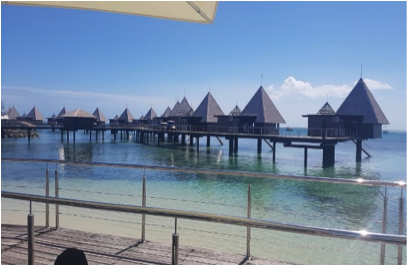 How much better can it possibly get – scrapbooking, a gorgeous cruise liner of ship gloriousness – the shows were amazing, the food out of this world – which included the most exemplary service from the crew. This ship even had an ice rink – with an ice-skating show that was jaw dropping to the floor awesomeness! Thanks Michelle for a brief look at what we got up too. To see more of the fun we have had in the class rooms FOLLOW us on our facebook page AUSTRALIAN SCRAPBOOK AND CRAFT CRUISES and click here to check our some more photos. There is so much more I would love to share but feel I’ve taken up enough of your time. Thanks for taking the time to stop and read this. – update on some Expos that we will be attending where you can come and get some personal information and see what we get up to onboard. – and what you have all been waiting for, an update on the new 2020/2021 cruises that will be released. This entry was posted in Cruises, Newsletter and tagged Newsletter, Upcoming Cruises. The Cruise Season It Was..
Cruise Port – Isle of Pines.